My phone does this amazing thing when I first get into my car. It predicts where I am going and tells me how long my journey will take. For most people I assume travelling to work or to see family would be the phone’s first guess. For me however, it guessed Homesense. It is no secret that it is my favourite place to visit all year round but I love it even more over the Christmas period. If you are new to Homesense (I would firstly worry about your candle collection and secondly would assume you live on a different planet) but let me introduce you. It is part of the TK Maxx family and is a place where you can find unique items at amazing prices. (Often up to 60% off the original RRP) In my experience Homesense is very good at being on trend with homeware items. So more often than not when you fall in love with that ‘Instagram must have item’ you’ll find a version of it in Homesense. This year I have noticed that they have an amazing gifting section for all the family. Meaning that I was not only able to come away with the perfect items to set my Christmas table but some amazing gifts and wrapping paper too. My personal style for Christmas is fairly traditional but I love to throw in a mixture of textures, colours and lots of additional light. I particularly love the prelit star’s that I have put in the fireplace and the hanging snowflakes which hold a little tea light. Both items from Homesense. 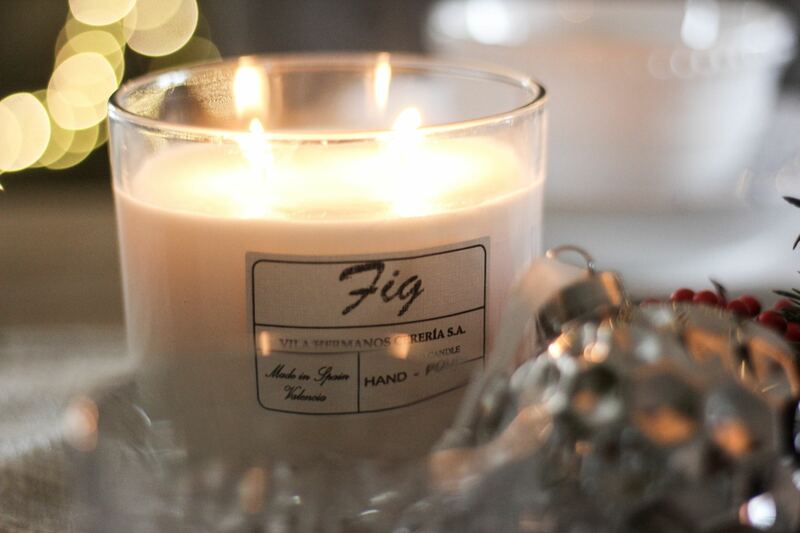 Along side that I have added lots of candles in various festive scents. Homesense’ candle collection is vast and one of my favourite reasons to visit the store. My little star fairly light is also from Homesense and after Christmas I will move it up to one of the boys rooms. Creating additional light is perfect for dining as the soft glow makes everything feel warmer and is a much nicer environment to sit in. If you can only add one thing to revamp a room over Christmas, I would definitely say to think about your lighting choices before anything else. Every winter I bring all my sheepskin rugs back out. I found this really long one in store for only £39.99, making the bench a much more comfortable and warmer place to sit. Ideally making the dining table a place where guests are happy to sit long after the meal is finished. 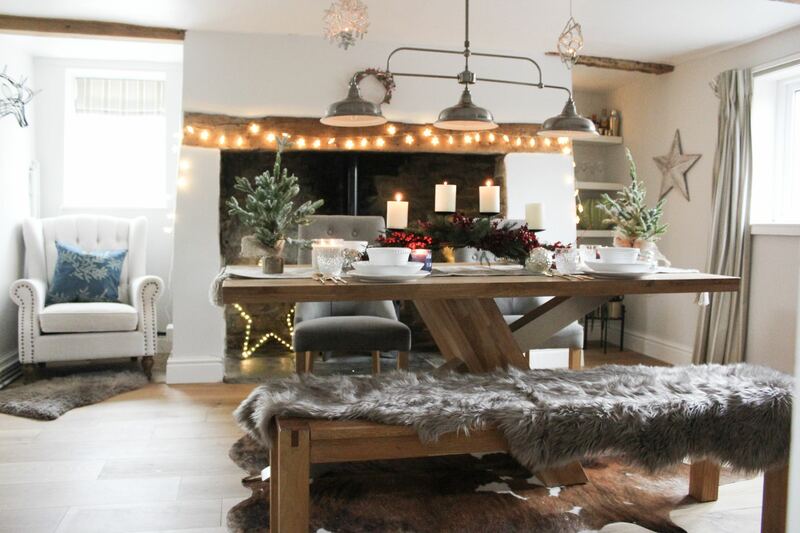 I love sheepskin rugs thrown and draped across chairs, it just screams cosy to me. Layering is always important when creating a real wow table setting. I normally start with a table runner, this one was £14.99 and has lovely tassels on either end. I then like to add texture, colour and different heights to make it interesting to the eye. 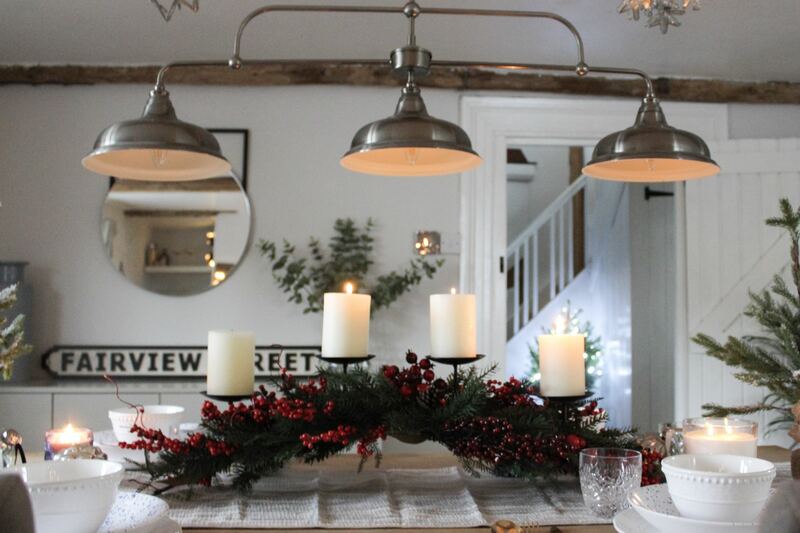 This candelabra is a statement item which also looks lovely placed in a window too. This one was only £39.99 which is a fantastic price for such a striking centrepiece. Our table is a very long one so I added two mini trees either side to add some more height to the table. I am really impressed with the faux flowers in store. Especially these eucalyptus stems which were £2.99 per stem. I have cut them down but they come with a lovely long stem so would work in a variety of vases. 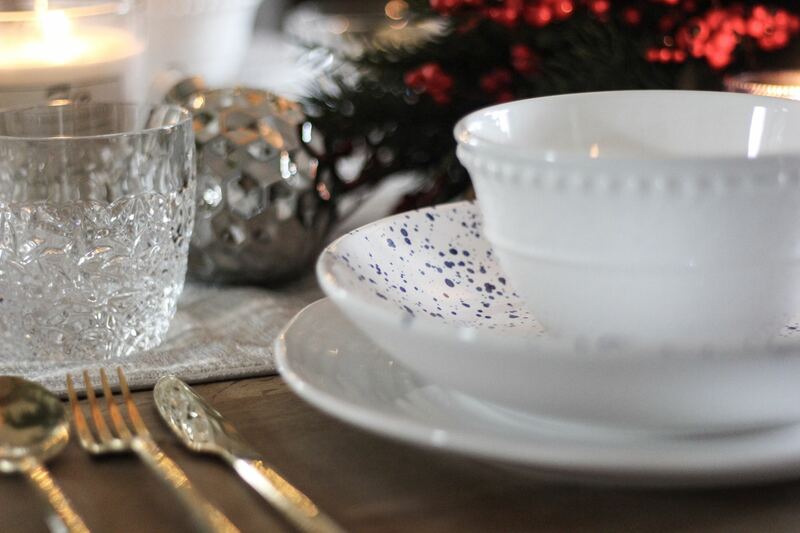 There is a lot going on with my table from mismatched plates to mini Christmas trees. I love the room now and putting it all together has got me into the festive spirit. We have our first meal this weekend and I cant wait to actually enjoy the space now its all put together. I have to say stying a table is my favourite thing to do. It’s so easy to create a complete different feel to a room just by accessorising a table. I hope you like how the room turned out! 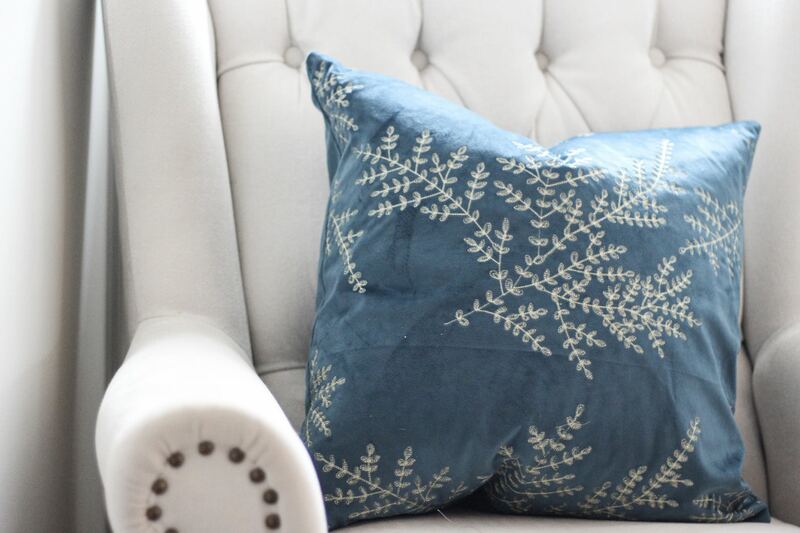 To find your nearest Homesense store click here. *This post is sponsored by Homesense. All images and words are my own. I have always loved the brand so I am thrilled to have collaborated on this post. 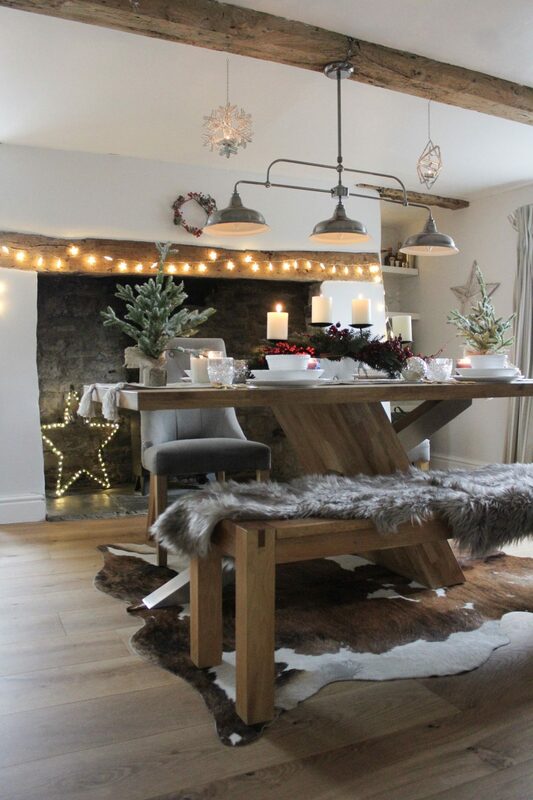 Looks gorgeous Cara – I especially love the hanging decorations. Glad to see a sponsored post with Home Sense as I know you love them…that jug you have from there will always stand out for me, haha! 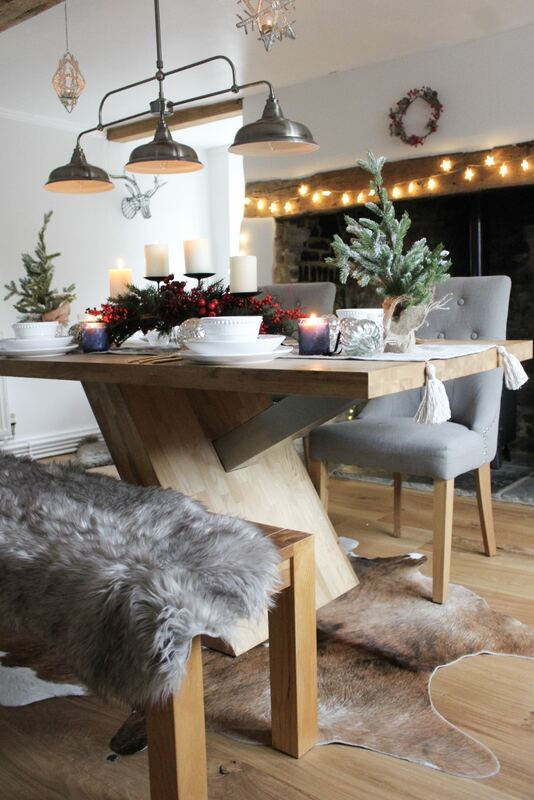 Beautifully styled…where did you get your table and seating from?